We view the LGBT community as an integral part of our community and, working with Stonewall, we want this partnership to improve the experience of LGBT people already playing football, and supporting clubs, and to signal to others who might be interested in getting involved, that they are welcome to do so. The importance of both those objectives was discussed with sports media professionals last Tuesday at a meeting convened by the PL and Stonewall. As the latter’s chief executive Ruth Hunt had noted in her contribution to that November statement, “the reasons for the lack of LGBT inclusion in sport are complex”. As far as football is concerned, I provided an overview addressing some of those reasons in my previous blog post. At the roundtable discussion, we heard the testimonies of athletes, including football referee Ryan Atkin, as to their experiences of sharing their stories with the media, and also the perceptions and concerns that – more often than not – discourage LGBT sportsmen and women from doing so. One positive takeaway from the meeting was the recognition that there is growing LGBT visibility and representation in press boxes and sports newsrooms, as well as on the terraces with the rise in club supporters groups for LGBT people. 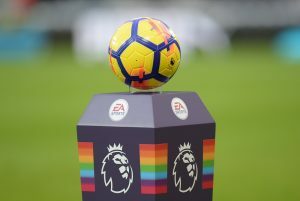 By exploring inclusion through conversations such as this one, the Premier League is demonstrating its willingness to listen to people involved in sport who are lesbian, gay, bisexual or transgender themselves, and discover what could be achievable that would make a tangible difference to their lives. It’s a promising development, and one that Sports Media LGBT+ is grateful to have been consulted on. Having laid the foundations of an alliance, the network hopes it can contribute further and build the trust necessary to provide an inclusive environment for all.